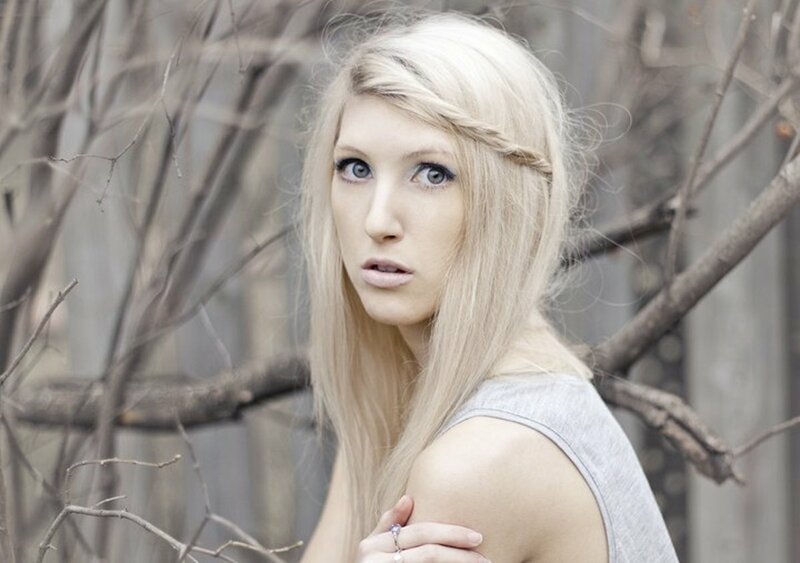 Blonde and black hair is a striking combination because of the stark contrast between the two colors. When done properly, the look is interesting and garners plenty of attention. With this combination, you have the choice of dyeing one color into the under-layers of your hair, or even streaking it through the entire length, giving you plenty of artistic license to individualize your hair color to your own style. 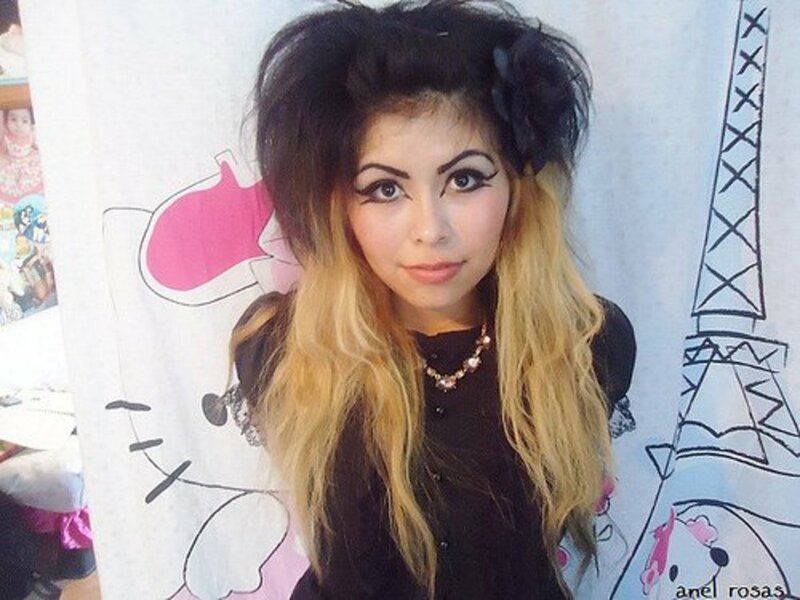 You have a few different options when it comes to blonde and black hair. 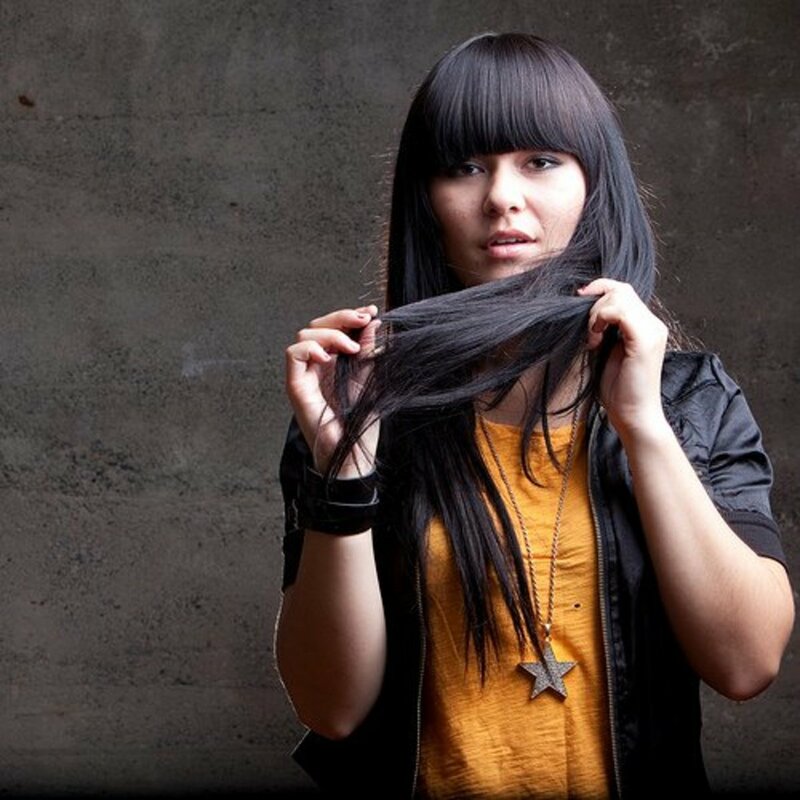 You can choose to wear black hair as the base and add interest by dyeing blonde under-layers to the back of your hair or framing your fringe. Or you can reverse the colors and dye black layers into your blonde hair. You can even add streaks of either color through your fringe or entire head. Do you want blonde or black hair as the base color? Do you want to add the other color as streaks or under-layers? Even if you want to streak your hair all over, you will still need to choose a base color before you can add the streaks. Quite simply, if you are already blonde, your base color is going to be blonde and you will add black sections to your blonde hair to simplify the process. If you have dark hair, it makes more sense to use black as a base rather than lightening all your hair. You can lighten just the parts that you want to be blonde and the process will be easier and far less damaging. If your hair is already black, you can add blonde sections wherever you want by either isolating parts of your hair or applying foiled highlights. If you want to dye the under-layers of either your fringe, sides, or back of hair, all you need to do is section the rest of your hair and apply bleach to just the under-layers that you want to lighten. If you want streaked blonde and black hair however, you will need to use foils to lighten the streaks without affecting the rest of your hair. To dye blonde under-layers into your black hair, you need to start by deciding where you want to place the layers and how thick you want them to be. Thinner under-layers are less noticeable depending on how you style your hair, whilst thicker layers will result in a highly contrasted effect because more of the blonde color will be visible. Once you have decided where to place the under-layers, begin by sectioning up the rest of your hair. If you were dyeing the under-layers at the back of your head, section up all your hair except the layers at the bottom of your head. These layers will need to be bleached in order to lighten them to blonde, and it may take more than once bleach to achieve a blonde color. Usually, black hair will require at least two processes. Apply the bleach to your under-layers from root to tip, taking care not to apply any to the pinned-up layers. After you have applied the bleach, you will need to leave it in for an hour before rinsing the product out. To tone these layers to blonde they need to reach the yellow stage, and if they are orange rather than yellow, bleach them a second time. If your hair does require another bleaching to reach the yellow stage, you need to allow it to rest for at least a week before you bleach it again. This allows natural oils to build up again and condition the hair, relieving the dryness that the bleach has caused. If you bleach twice in the same day, you increase the chances of damaging your hair. Need more help with bleach? Find out how to use and apply hair bleach. Now that you've lightened the sections of hair that you want to be blonde, the next step is to tone the hair so that it becomes a natural blonde color. To do this, your hair has to have reached the yellow stage, or at least be light orange. To tone your sections to blonde, apply an ash blonde dye. As before, take care to only apply this color to your blonde sections or you will discolor your black hair. The hair you're not working with should be pinned up out of the way to avoid accidentally applying the ash blonde dye to it. This dye will need to be left to process until your hair tones to a blonde shade that you're happy with. 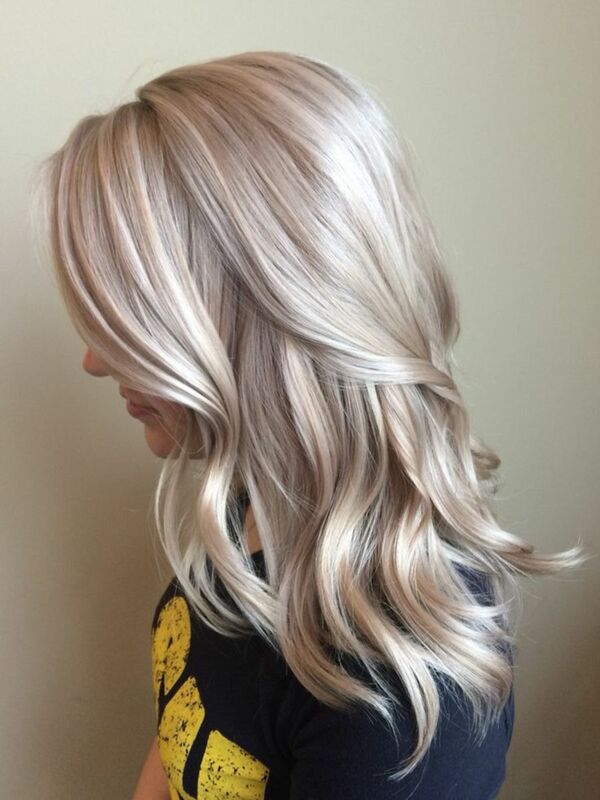 If you like more of a silver or ash blonde, you can leave the color in for longer, whilst if you prefer a warmer blonde, you can rinse it out as soon as it takes the edge off the yellow tone. If you want streaked blonde and black hair, this is much more difficult when your starting color is black. Because black hair usually needs to be bleached at least twice before it can reach a blonde color, and because highlighted streaks are notoriously difficult to highlight twice, you may prefer to ditch the idea. Dyeing blonde streaks into black hair requires you to meticulously section out the previously highlighted hair. This often has to be done strand by strand if you want a really clean color. The problem with highlights is that they take weaved sections of hair and you will need to separate all of this highlighted hair again if you want to bleach it more than once. If you have naturally black hair, you're less likely to run into problems, as long as you use a quality salon bleach like Igora Vario that can lift up to 8 levels in one process. Hair that has been dyed black will never lighten that much in a single process, though. To apply highlights to a section of hair, you need a tail comb. Take a thin layer of hair, weave through it with the tail of your comb, and clip the rest of the hair from your layer back. The weave of hair you take should be fairly thick or else the blonde color will blend into the black and make your hair look brown rather than highlighted.The tail of the comb is then placed against a foil strip, about an inch from the top, and you place the tail directly against your scalp below the weaved hair. This folds the foil underneath as the comb's tail presses against your scalp, and the bleach needs to be applied by brush whilst holding the foil in place. Once the weaved hair is wet and sticks to the foil, you can remove the tail of your comb from the foil by sliding it out, then fold the foil up once. The easiest and neatest way to fold the rest of the foil is to press the toothed edge of your comb gently against each side of the foil, about half an inch from the edge to form a crease, then fold it inward. This gives you neat, tight, square foils that don't leak or fall out of the hair. Once you have foiled one section, take another layer and this time clip it up against the foil. Now take another layer once more and weave this one, apply bleach, and foil it. Continue in this fashion to streak as much of your hair as you want. You can streak your fringe or the sides of your hair, or even streak your hair all over if you want. If your hair hasn't lightened enough after the first bleach and you're still adamant you want to continue with the process, you need to repeat the foiling step, but this time instead of weaving sections out, you're using the tail of your comb to separate all the highlighted streaks and foil them again. It's an arduous process and takes a lot of time but it can be done if you're patient. For black hair color that lasts, use a high quality salon dye like Igora Royal. The color looks better and fades significantly less. If your hair is already blonde, you'll have a fairly easy time adding black to your hair to create a black and blonde hair color. You can either add streaks by foiling your hair, or dye the under-layers of your hair black. To dye the under-layers of your blonde hair black, the process is exactly the same as if you had black hair, except in this case you won't be bleaching your hair first. You will need to apply black hair dye to your under-layers, taking the utmost of care not to slip and apply any color to your pinned up blonde hair. Once applied, leave this to process until the dye develops and rinse it out to unveil your new black and blonde hair. If you want to streak your blonde hair with black, the process is also exactly the same as streaking black hair, except this time it's actually realistic and quick to achieve. You can apply foils following the same directions, using black hair dye instead of bleach to foil your hair. You need to be extremely careful that your foils don't leak or slip or you will end up with a disaster. Black dye takes to blonde hair very rapidly and any foiling mistake will lead to problems for the rest of your color. When you rinse these foils out, you will also need to be very quick and careful as the rinse water can dye the rest of your blonde hair. To overcome this, you need to clip up the other layers of your hair and gradually release your foils one at a time directly under a tap or shower hose. You should be holding the foiled layer perpendicular to your hair and hold your head downwards so that the rinse water runs away from your hair rather than into the rest of your hair. Once all the foils have been removed and rinsed thoroughly, you can wash the rest of your hair and condition as usual. If your hair is neither black nor blonde, it takes an extra step to achieve black and blonde hair because you don't have one of these colors already. For this process, if you are dyeing your under-layers blonde, you will need to foil them with bleach, whilst dyeing the rest of your hair with black hair dye. The black hair dye will need to be rinsed out first before you pull the bleach out. To reverse the process, apply black foils to your under-layers and bleach to the rest of your hair. In this case, the black dyed foils will need to be rinsed first so that they don't bleed into your new blonde hair. It is also possible to achieve streaked black and blonde hair starting from a brown hair color. 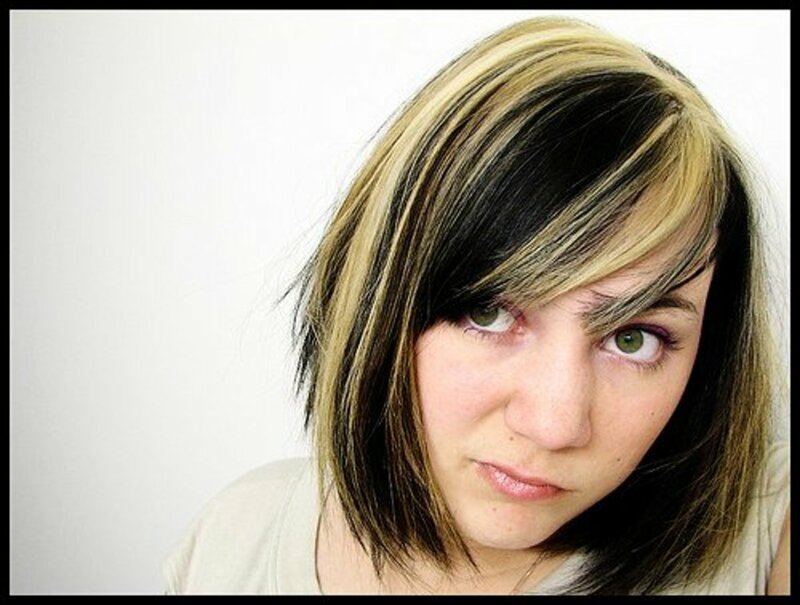 To do this, you need to highlight part of your hair with bleach foils, and lowlight the rest with black dye foils. The color that is the base should be the most abundant, whilst the accent color should be more sparse. This isn't something to attempt if you're not skilled with foiling or streaking hair though. Blonde hair needs regular toning, and a purple shampoo is the best way to keep it looking great. Discover the best purple shampoo for toning blonde hair. Dyeing your hair blonde is a little more complicated than most colors, but with the right preparation and knowledge, you can achieve a beautiful and natural result. Black hair is the easiest color to obtain, yet there's more to it than you may think. Discover how to dye hair black. Black and blonde hair will need maintenance just like any other hair color. You have two main problems to deal with here, and that will be the fading of your black hair, and brassiness in blonde hair. To avoid brassiness, switch out your regular shampoo for a purple shampoo. The purple shampoo will wash your black hair just like any other shampoo, but your blonde hair will also be toned by the shampoo so that it doesn't become too brassy. As for fading that occurs in your black hair, you can't avoid this too much other than to avoid shampooing your hair too often, using cooler water to wash your hair, and avoiding excess sun. Once it fades to the point that it is beginning to look brown instead of black, section it out again and apply black hair dye to refresh your color and take it back to black. As long as you care for your black and blonde hair, you can wear this exciting and interesting hair color for a long time without worry. Do you have a question about black and blonde hair? Leave a comment for tailored advice and share your insight with other readers. I recently ombred my hair with a black base going blonde so I could add color to the blonde parts, how do I keep the black from bleeding down when I touch up the base color? It depends how light you want the blonde to be. Ideally, use ash at 1 level lighter than your current level, apply, allow to soften the warmth to beige, which will look like a soft gold tone, and then rinse once it reaches this. Following this you can use purple shampoo to maintain the colour and keep it from becoming brassy. With a beige shade you want that golden tone to be there, but you want it to be more subtle than a regular golden blonde colour. how to dye natural level 4hair into Beige blonde, which hair colour number to be used after bleaching?